Boy-oh-boy. Organizing projects are everywhere you look this time of year. Blogs, magazines and television ads are full of them. If you’re ready to move beyond the world of plastic containers and baskets, I’ve found a few stylish solutions to share with you. For those who have a bajillion remotes (like me!) 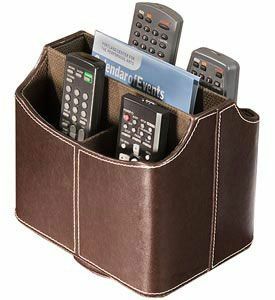 and other small items that need to be kept close at hand, this caddy is functional as well as being stylish. What I like about it is that it spins to give you easy access to the different compartments. If you have kiddos around, then you know that they want to bring out their toys and play wherever you happen to be. 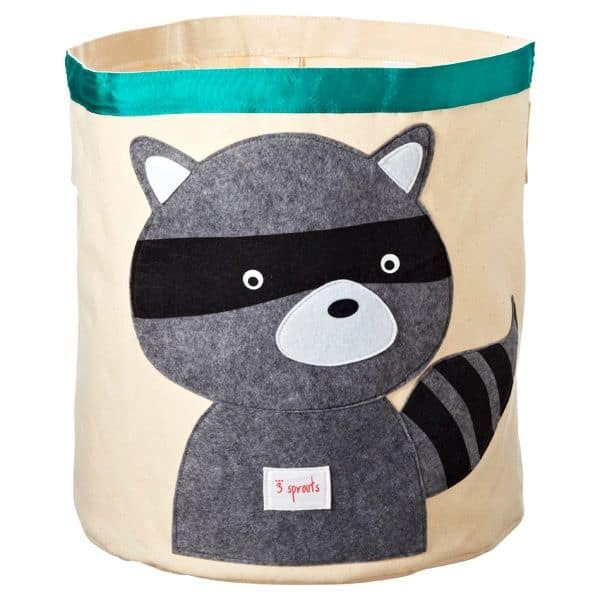 This canvas bin works great for corralling toys and is adorable enough to be kept out in plain sight in a family room. 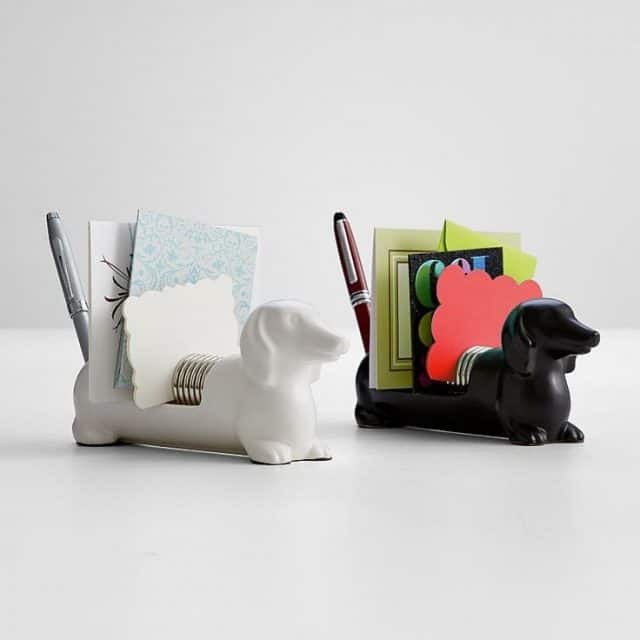 You might think of this adorable pooch as something more fitting for an office, but my kitchen is where notes and the daily mail tend to accumulate. One of these guys would be too cute sitting out on the counter to hold all of those bits and pieces. 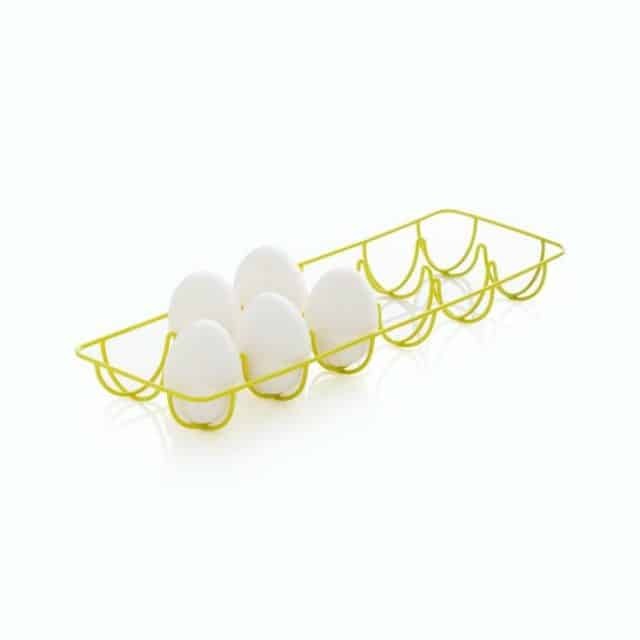 Instead of using those ugly Styrofoam containers to hold your eggs, why not use a pretty wire egg crate in your refrigerator? This would be a great way to serve hard boiled eggs too. 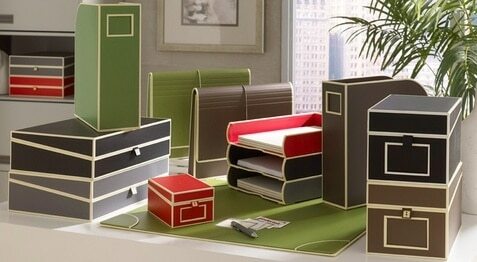 I’m in love with these smart and tailored boxes for storing all kinds of papers and office supplies. 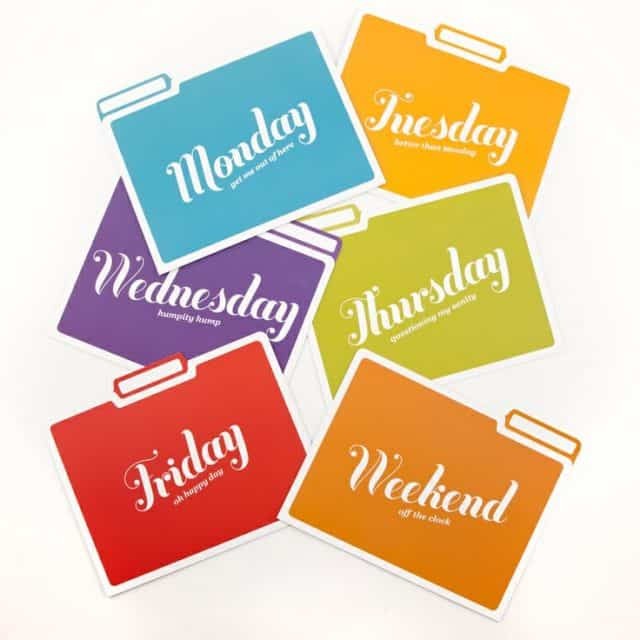 These day of the week folders would be great for storing all those papers you may need on any given day. 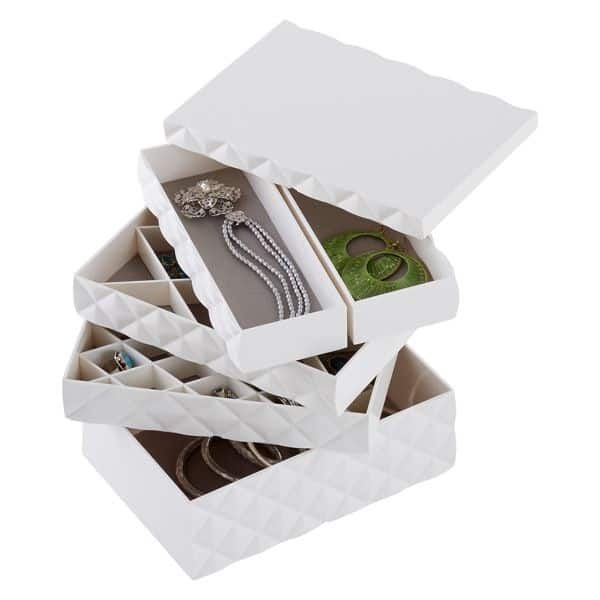 These aren’t your ordinary jewelry organizing trays. Their quilted surface makes them too pretty to hide in a drawer. And I love that they have a lid. 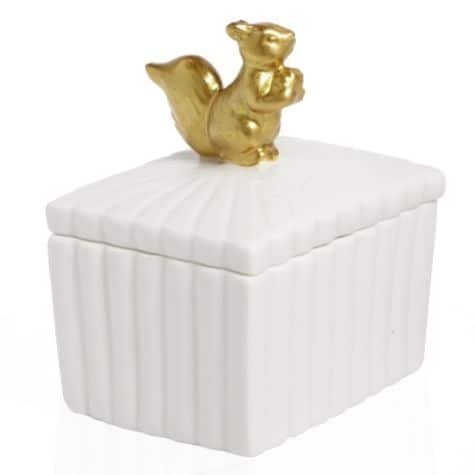 This ceramic box with the golden squirrel is a stylish way to hold small trinkets of any kind. 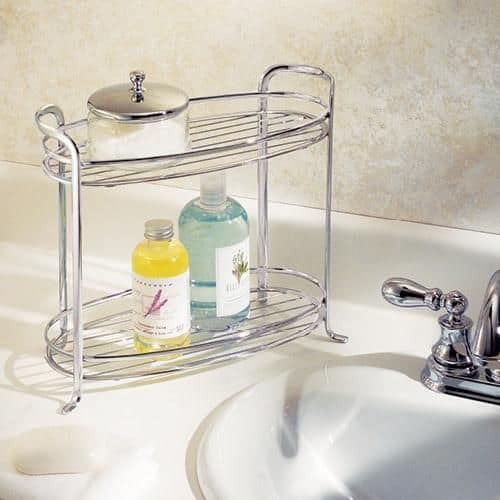 When it comes stylish organizing in your bathroom, you probably wouldn’t think of a bar cart. But it makes a great place for keeping toiletries, fluffy towels and other bathroom essentials handy. If you don’t have the floor space for a bar cart, how about a pretty tiered tray for your vanity or the back of the commode? How about you? Do you have any stylish organizing solutions that you use in your home? What fun and lovely ideals for storage! I’ve been working on getting rid of clutter (that stash of magazines is getting to me!) so more organization is on the horizon. Thanks for sharing the ideas! I hope your new year is off to a great start!! 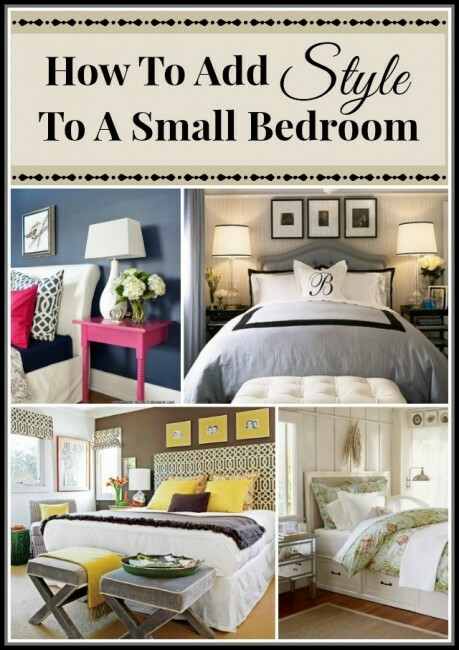 Those are some great stylish tips…..love it! Thanks so much for including our bar cart from one of our design projects in your round up! 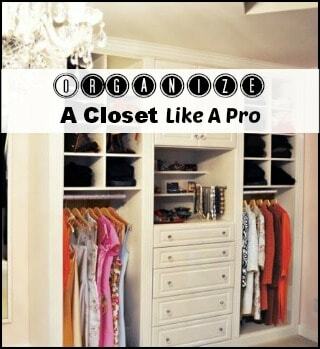 All great ideas for organization! It’s a gorgeous room, Megan. The bar cart is a terrific idea so I just had to include it! Glad you liked all the ideas. Everything you do is wonderful. I wish I had your courage to step out of the box and do something different. You are amazing. Great tips for door storage.